Last week I shared on social media my cauliflower pizza and a few of you mentioned that you would be interested in learning about the products I used as well as the recipe. I used a frozen cauliflower crust so this is actually really simple... but seriously, I think the fact that they're now making these frozen cauliflower crusts is UH-MAZING! The brand that we found at our local Meijer was called Caulipower. 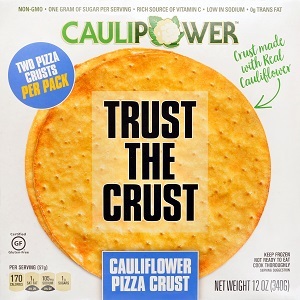 Now, I will say, since we bought this brand and I've been learning more about the different types of frozen cauliflower crusts that are available. While this one isn't the one with the least ingredients and definitely isn't as "clean" as making our own at home, it's quick and easy, still WAY better than a regular pizza crust filled with refined carbohydrates, AND it's available near my home! (One thing about living in a rural area that I hope changes soon is the availability of some of these convenient healthier food options). All that being said, if you're looking for a healthier pizza option, that just happens to be gluten-free and made from vegetables, here ya go! 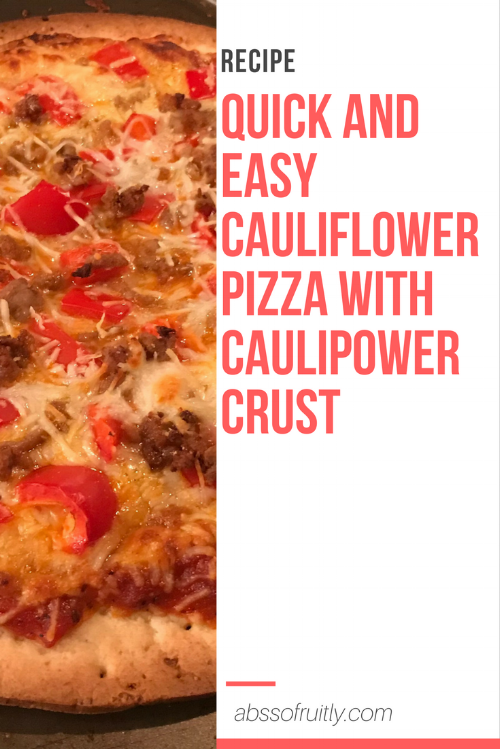 This is a perfect recipe for something quick, especially when you're craving pizza and don't have the time or patience to make your own cauliflower crust! The toppings we chose were red bell pepper and ground turkey. I tend to buy ground turkey, make it up, portion it, and freeze it for lunches. What I had made worked perfectly for this recipe. Preheat your oven to 425 degrees F and place the crust on a baking sheet. Then simply add your sauce, cheese (save some for the top), toppings, and the rest of the cheese! Bake at 425 for about 12-14 minutes (7-11 minutes in a convection oven) or until the crust is golden brown, let cool, and ENJOY!